I am writing a series of articles about technical job search trends and technical resumes. In my first article, I looked at web-based portfolios and examined whether they were worth the cost. In this article, I’m offering an alternative to web-based portfolios with a no-cost/low cost option that, in my opinion, is a much better fit for today’s technology professionals conducting a technical job search in overcrowded markets. 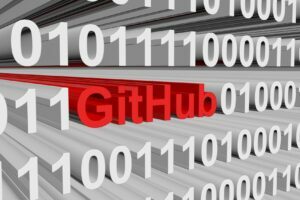 As a technology professional, if you are considering a technical job search you need to consider using GitHub, an online Git repository hosting service. It has all of the functionality of Git – distributed version control and source code management – in a collaborative environment. One of the near ending challenges of staying current in emerging technologies, is that you need opportunities to learn and use the tools that will lead to advancements in your technical career. If your company is lagging behind or you simply can’t get on the right team, then GitHub provides a fast, flexible, and collaborative development process that will let you highlight your personal projects. If you are a student, you can use their services at no cost! Imagine graduating with a robust portfolio of individual and collaborative work. Lacking hands-on experience will no longer be a huge obstacle to finding a great job. Your GitHub projects will demonstrate your development ability to create and manage code that is well-structured and compliant with best practices. Teaming up with friends to create new products and services benefits everyone. If others use your code, that also benefits you. It would be a powerful statement on your technical resume to say that others valued your development efforts and used your code for their own projects. Demonstrating that you can create code that is reusable and also actually reused will be a game changer. For technical professionals, the cost of a GitHub account is nominal. This is an opportunity to be part of a very large collaborative effort. You will be exposed to individuals that understand the need to share best practices. You can start by learning from others and then mature your skills to be a full contributor. Everyone wins! In your resume, provide a a link to your GitHub account, including a brief description of the work that you’ve done. These projects will show your initiative and desire to stay current with new technologies. If others are using your code, include that information was well. For your technical job search, there are so many job-related products and services out there. It can be overwhelming to know what works and what doesn’t work. Before you make any kind of financial investment, just make sure that it’s in your best interest. I’ll continue to write articles about what I see as the best job search opportunities. Good luck in finding a fabulous job! This entry was posted in Building Your IT Career, IT Resume Writing Tips, Tips & Articles, Uncategorized and tagged IT Job Search, technical career, Technical Job Search, technical resume writing, technology resumes. Bookmark the permalink.